First translator of the Communist Manifesto. 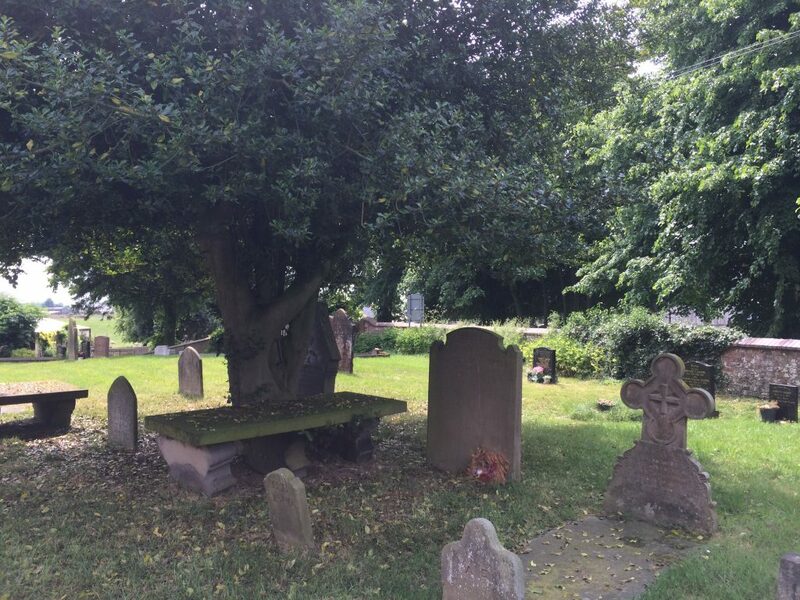 The grave of Helen Macfarlane in St Michael’s Church, Baddiley. Few knew her identity at the time, and fewer still remembered her in the years that followed, but Helen Macfarlane was probably the most influential woman in the Chartist movement. Writing under the name Howard Morton, Macfarlane made the first English translation of the Communist Manifesto, which appeared in George Julian Harney’s Red Republican in 1850, and was described by Karl Marx as “the only collaborator on his spouting rag who had original ideas”. Macfarlane disappeared from politics after breaking with Harney in 1851 and was forgotten until her identity was revealed by Harney’s biographer A.R. Schoyen in 1958. But even then and ever since, her early life and what happened to her subsequently have been a mystery. Then, in late 2012, the mystery was solved by her biographer David Black and BBC Radio Scotland researcher and broadcaster Louise Yeoman. Their findings were broadcast in BBC Radio Scotland’s Women With a Past series (now no longer available on the BBC website, unfortunately). Born on 25 September 1818 in Scotland, Macfarlane was the youngest of 11 children. Her father George owned a calico-printing works at Barrhead, and her mother, Helen Stenhouse, came from a similarly middle-class family of calico printers. Macfarlane’s early childhood must have been comfortable, but the family found itself destitute when mechanisation forced the business to the wall in 1842. In the year of revolutions of 1848 she witnessed the Vienna uprising against the Hapsburg monarchy, before returning to Britain where she began to contribute articles for Harney and came to know Marx and Friedrich Engels. But in 1851, Macfarlane broke with Harney, according to letter Marx sent to Engels a short time later, because Harney’s wife had insulted her. In 1852 Helen Macfarlane married Francis Proust, himself a former radical exile, and the couple sailed for South Africa to join Macfarlane’s brothers. Tragically, there was to be no new life together – Francis died even before the ship left British waters, and her only child soon after their arrival. 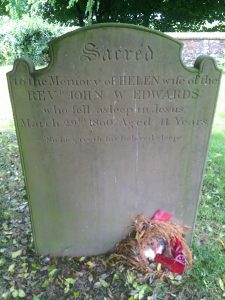 After returning to England in 1854, Helen met Church of England vicar John Wilkinson Edwards, himself widowed with 11 children and in 1856 they married. Macfarlane became a vicar’s wife, at St. Michael’s Church, Baddiley, just outside Nantwich. The couple had two sons, Herbert and Walter. But in 1860, at the age of only 41, she became ill with bronchitis and died. She is buried in the churchyard of St. Michael’s.